Back in the day, 1972. The Massarelli's story begins on 3 acres in Egg Harbor City, New Jersey. A major expansion in 1994. 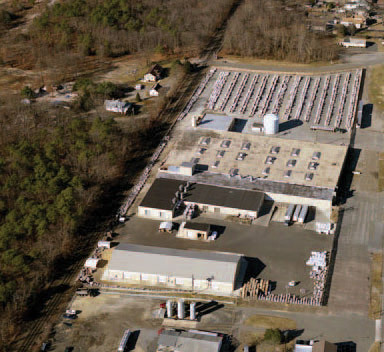 Massarelli's moves to a new 100,000 square foot facility on more than 12 acres in Hammonton,New Jersey. The Massarelli's way. A cultural melting pot…working together as one. 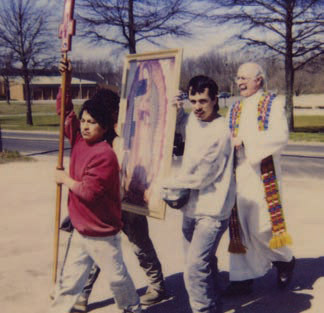 Employees participate in a blessing for the new batch plant in 1996. 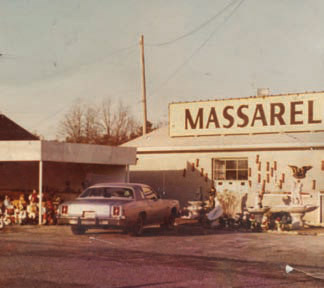 The Massarelli's story began back in 1972 at a modest facility on just 3 acres of land in Egg Harbor City, New Jersey. Mario Massarelli was just 17 when he started the business and he did it all – designing statuary, creating and pouring molds, retail sales, wholesale sales, even attending trade shows. There was no textbook for success here. Everything Mario did he was self-taught. He was doing something that he loved, and the business grew. In 1994, Massarelli's moved to its present 100,000 square foot manufacturing facility on more than 12 acres of land in Hammonton, New Jersey. Two years later, a second location on 25 acres of land was added, designed for storage and a spectacular showroom. Today, Massarelli's has become a leader in the garden center industry servicing nearly 2,000 independent dealers in all 50 states and Canada. Forty years later, Mario is still on the job…"hands-on" every step of the way. He is still creating and designing, a guiding force in the manufacturing of every single product that bears the Massarelli's name. For him, it's not work, it's a passion – a passion for perfection that has turned a dream into a forty-year success story. There are reasons why Massarelli's continues to flourish, even in an ever-changing global market. An extensive selection is one. But more than quantity, it's our commitment to the highest quality that counts! That's what the Massarelli's Touch is all about. It's about a skilled team of fine artists, sculptures, mold-makers. It's about a well trained manufacturing staff. It's about using only the finest materials and state-of-the-art equipment, Bottom line – it's about not only meeting, but exceeding customer expectations..
Good old-fashioned customer service is alive and well at Massarelli's. Pick up the phone and call, or contact us on the Internet and you'll see what we mean. Ask any one of thousands of satisfied customers – many of which have been a part of the Massarelli's family since day one. Everyone agrees, Massarelli's number one goal is complete customer satisfaction. We value your business and look forward to the opportunity to prove it to you every single day.